Alenchenu, without even knowing it, is sitting next to his future boss! 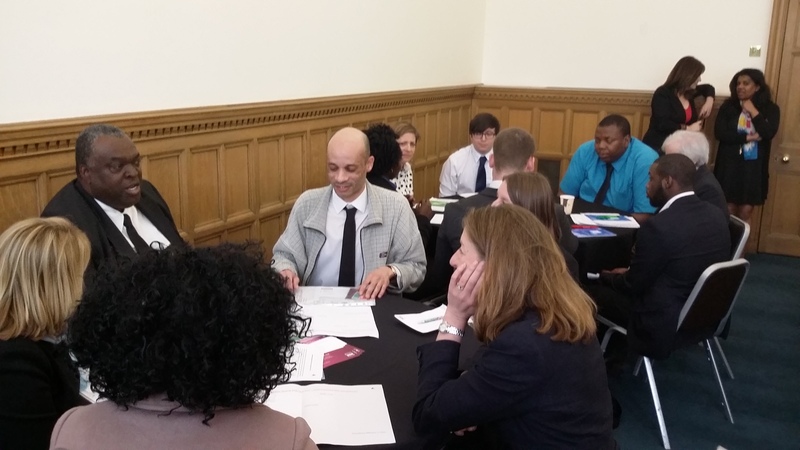 Taken from the Employers’ Selection & Assessment day for Growing Talent 5 on 24 April. He’s in the electric blue shirt with Pauline of Mitie Total Document Solutions on his left. Pauline manages the Service Solution desk for Mitie at PwC’s prestigious offices in Embankment Place. She was impressed with Alenchenu’s style of communicating. He listened to the questions and answered with passion. Alenchenu is a giant of a man with a heart full of passion and empathy for others. With a Pastor father, he is used to travelling to new congregations and joined Growing Talent to secure a steady job to give him independence. Alenchenu’s passion for others showed in the Social Enterprise idea he devised and presented with his team partner Shennell. Through his father’s work, Alenchenu had supported vulnerable people in deaing with any issues they had. This shone through his presentation. Although in his own words he ‘waffled’ a little. Alenchenu thought this was a bad thing, but acutally it showed how important what he spoke about was to him. 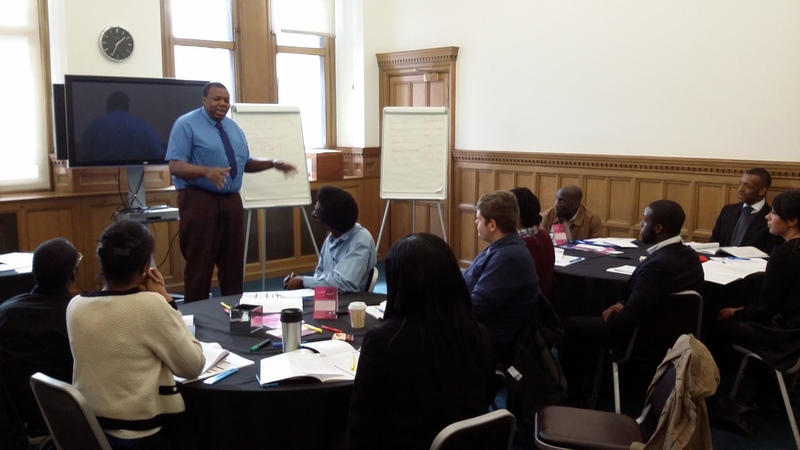 Alenchenu practising his presentation skills ahead of his Social Enterprise presentation with Shennell………..entitled ‘Bridge to Society’, a supportive return to the worlds of work and community for those leaving prison life. 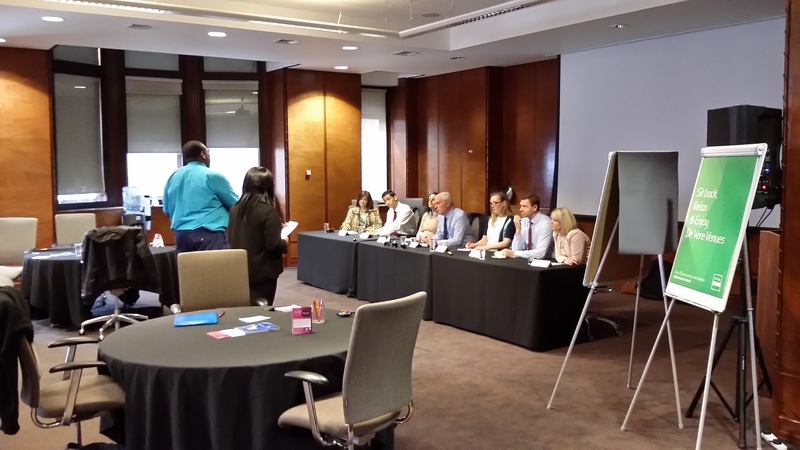 Judges above left to right were Jo from JobCentre Plus, Jordan ex Growing Talent now Executive Host for Portico, Patti – Pertemps, Jon – PwC, Gillian – MHFAEngland, Simon – Portico and Chloe – Iron Mountain. The Social Enterprise presentations saw the end of the Orientation Week. On Tuesday 5 May, Alenchenu and his peers went on site to learn the vacant roles in situ. Working with the Rapid Response team Alenchenu’s role entails the collection and delivery of high value/critical documentation and goods. Responsible for accurate tracking and dealing with any issues as they arise. Alenchenu’s dedication paid off! Just a few short weeks in, he’s been employed! It’s a shame he’ll miss the holistic week but Alenchenu aims to catch-up with the guys later. With his steady income, Alenchenu is going to focus on education in his ultimate field of passion – robotic prosthetics. 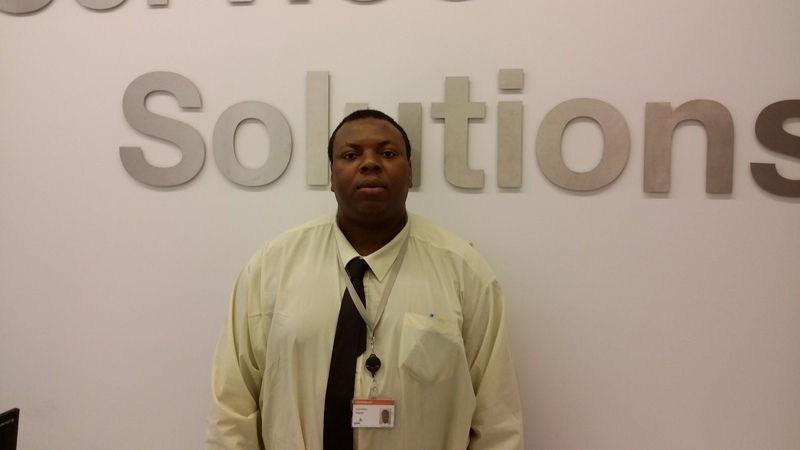 Seen below in Service Solutions, Alenchenu’s story is just beginning…………….. Previous ENEI – Great News! Next Stop the press! Shennell & Alex start work four weeks early!